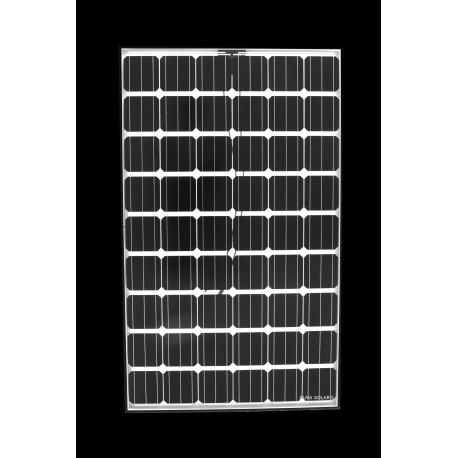 Buy your BISOL solar panel BMO-265 transparent at the best price online. BISOL BMO solar panels use monocrystalline cells. With their black frame and transparent background color, these panels blend perfectly into your roof. BISOL modules are made in Europe. All panels come with a 15-year warranty and a tolerance of 0/+5 W. All anti-corrosion and anti-saline tests were validated. Linear performance guarantee: BISOL BMO-265 solar panels cover the linear decrease. Every year, you can be assured that your BISOL panels display the expected performance curve.the reduction in the second year is only 0.5%. After 25 years, an output power of at least 85% is guaranteed. An innovative and secure solution. Positive tolerance: BISOL BMO-265 solar panels have a power range of between 265 W and 270 W. Precious additional wattage to optimise the performance of your solar installation. 54 monocrystalline cells: With 54 monocrystalline cells, BISOL Lumina panels produce 265 W: You can produce more powers with these monocristalline cells. 25% transparency: The cells spacing lets in more light. The panels have a 25%-transparency - compared to a 10%-transparency on standard solar panels. An excellent solution for verandas, carports or solar shading solutions.